What are the bubbles in my ionized water? When you fill up your water glass from your water ionizer machine, you’ll notice that there are tiny little bubbles floating around in your glass. Have you ever wondered what those little bubbles are? These bubbles are negative hydroxyl ion oxygen bubbles. Now that’s a mouthful! The bubbles are created by the process of ionization. 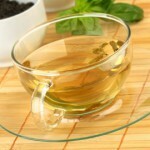 They are representative of the -ORP (oxidation reduction potential), or antioxidant power of your water. The higher the -ORP, the more oxygen bubbles you’ll see floating in your glass. How Long Do the Oxygen Bubbles in Ionized Water Last? 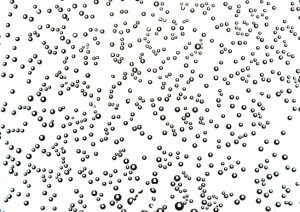 The oxygen bubbles quickly dissipate into the air, so you should try to drink your water before the bubbles float away. But even if you can’t see the bubbles anymore, ionized water is still beneficial to drink. If there are minerals in your water, the hydroxyl ions will also be there. However, the greatest number of hydroxyl ions is present immediately after the water is dispensed. These hydroxyl ions represent oxygen bubbles, and these oxygen bubbles are important for your body. Your blood cells carry the oxygen for use throughout your body. The oxygenated water can help increase energy and help boost your immune system! Not having enough oxygen in the blood can result in dizziness, fatigue, and lack of energy. When looking for a water ionizer machine, make sure the machine you’re considering has enough plates and power to create the greatest -ORP levels, or oxygen bubbles, which are the most beneficial for your health and wellbeing! We hope this article answered any questions you may have about the bubbles in your water. 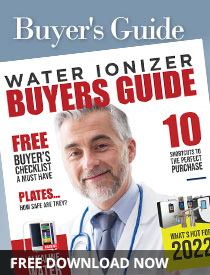 You should check out our FREE Water Ionizer Buyer’s Guide to continue your research on water ionizers and alkaline water. If you have any additional questions, please feel free to call us or comment below!